She also lashed out at the BJP government at the Centre for failing to fulfil promises made five years ago. 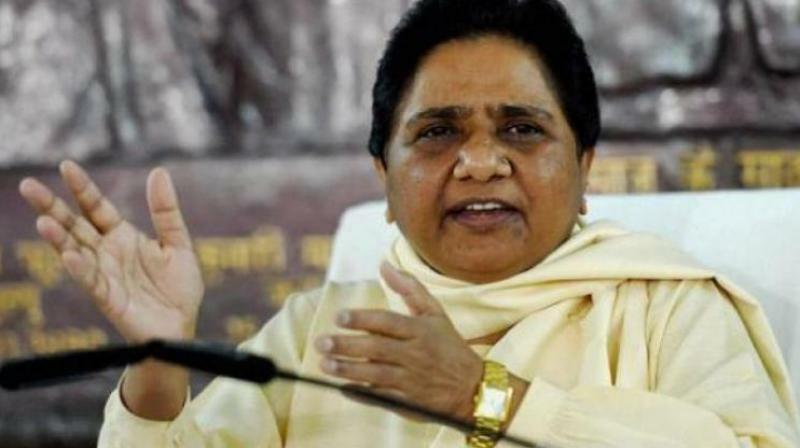 Thiruvananthapuram: BSP chief Mayawati on Thursday attacked the Congress saying the people need jobs and not cash put in their bank account. At the election meeting to seek support for BSP candidate Kiran Kumar S.K., the former Uttar Pradesh chief minister took a dig at the Rs 6,000 income generation scheme announced in Congress manifesto. She also lashed out at the BJP government at the Centre for failing to fulfil promises made five years ago. She said the farmers were in deep distress, unemployment, price rise and attack on Muslims and other marginalised sections including Dalits had increased manifold. Interestingly, there was no mention of Rahul Gandhi contesting from Wayanad or CPM led LDF government’s performance in the state.